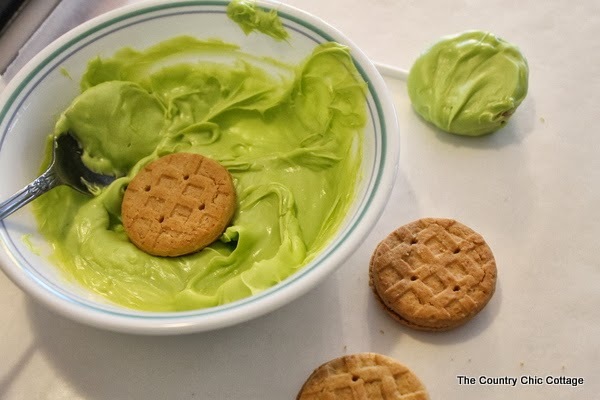 I have a super fun recipe for y’all today. 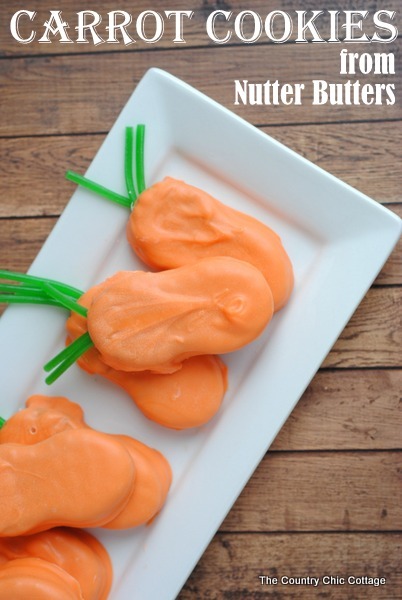 These carrot cookies from Nutter Butters can be made in just minutes for the kids or yourself. 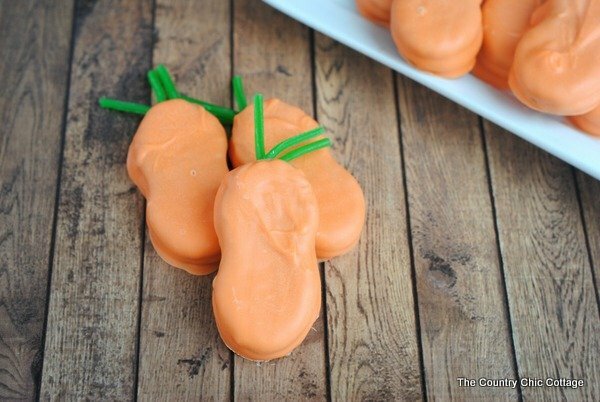 Send an entire garden of these fun carrot cookies to school and celebrate the beginning of spring this month. Separate the Nutter Butter cookies into two halves. Using kitchen scissors, cut the green apple Twizzlers into 2-3” sections and separate the ropes. Each cookie will require (3) 2-3” ropes. 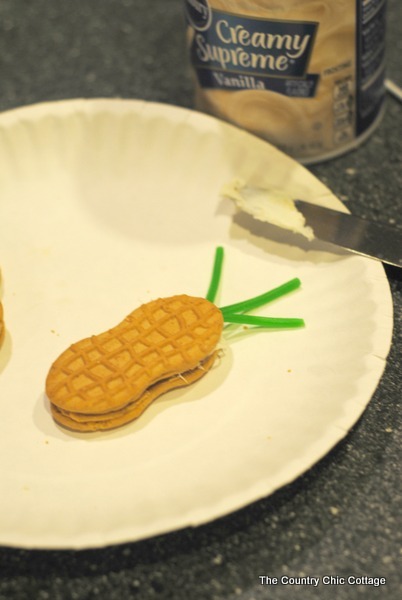 Using a butter knife or a small spatula, spread a small amount of white frosting on the top/inside section of each of the Nutter Butter cookies. 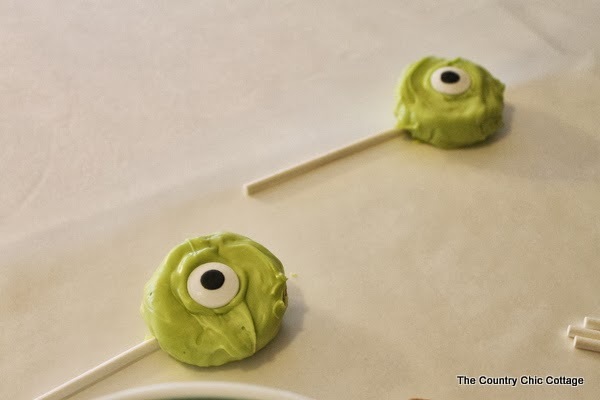 Take the 2-3” green apple Twizzler ropes (leaves) and place on the frosting. 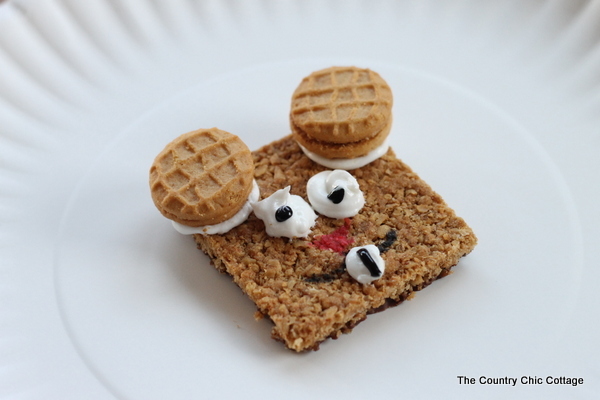 Place the top half of the cookie on top to make a sandwich and place on a cookie sheet or plate. Repeat this process with the rest of the cookies. Once all cookies are put together, set in the fridge for 30 minutes so the frosting sets – it will hold the cookie and Twizzler ‘stems’ together like glue once they are set. 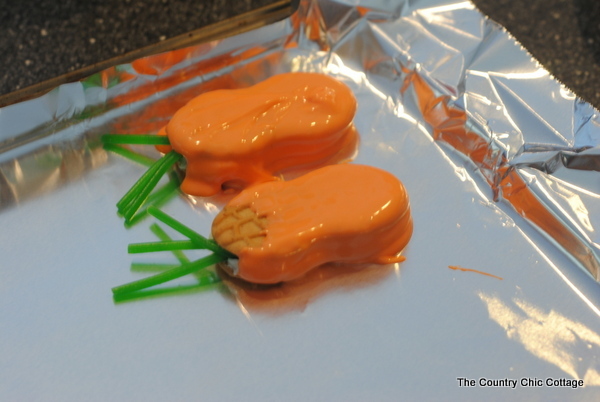 Once the cookies are set, microwave the Wilton orange candy melts in a microwave safe bowl stirring every 30 seconds until melted. Let the chocolate cool 2-3 minute before dipping the cookies. 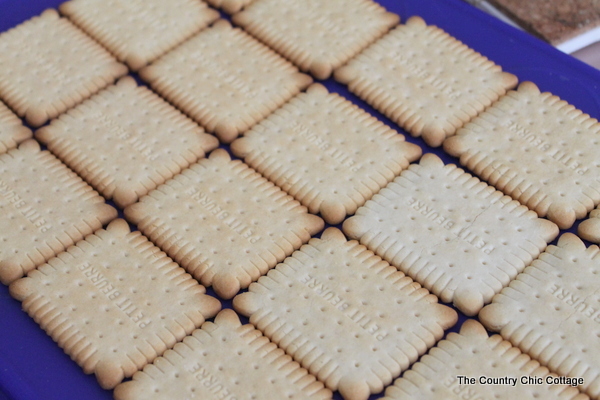 Take each cookie one at a time and dip into the chocolate covering ¾ of it (see photo below). Lay on a wax paper or a foil lined cookie and using a teaspoon take a small amount of orange chocolate and cover the rest of the cookie with it – go slow and be careful not to cover the ‘stems’. Repeat with the rest of the cookies. Let set at room temperature for 1 hour. You can also place in the fridge for 20-25 minutes to speed up the process. Store in an airtight container 1-2 weeks. You have adorable carrot cookies from Nutter Butters all with minimal hands on time. You have to love that! I am continuing with Craft Lightning today and have a treat for you. 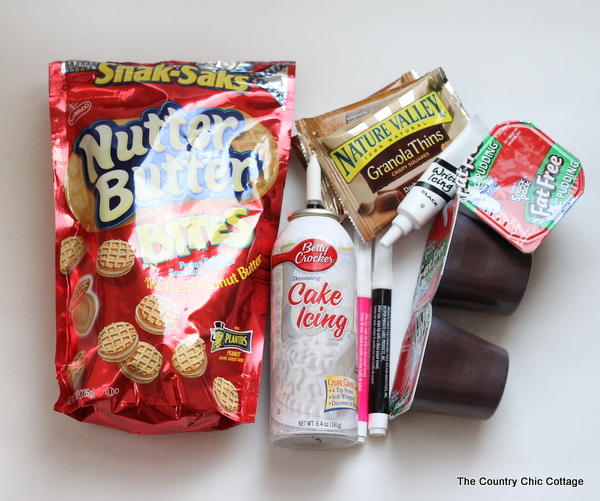 My Valentine’s Day pops can be made in just minutes but will make you the star mom of the class party. Grab a few ingredients to make your own version. If you would like a chance to be featured this afternoon, please be sure to link up your 15 minutes or less Valentine’s Day crafts to the Craft Lightning linky party. Also if you have missed any of the fun this week be sure to catch up with the round ups from day 1/2, day 3, and day 4. Melt the white almond bark or candy coating in the microwave according to the package directions. 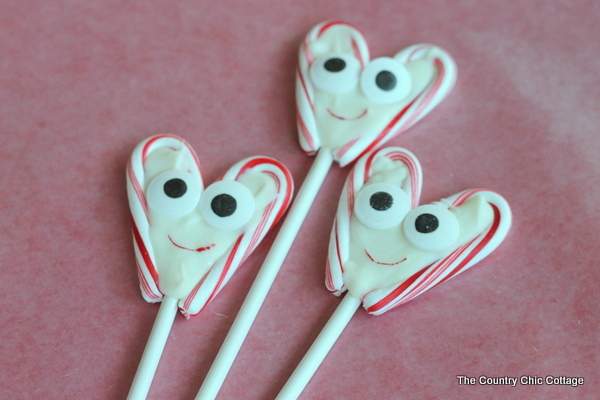 Lay out two mini candy canes and a popsicle stick as shown in the photo below. Put everything on waxed or parchment paper. 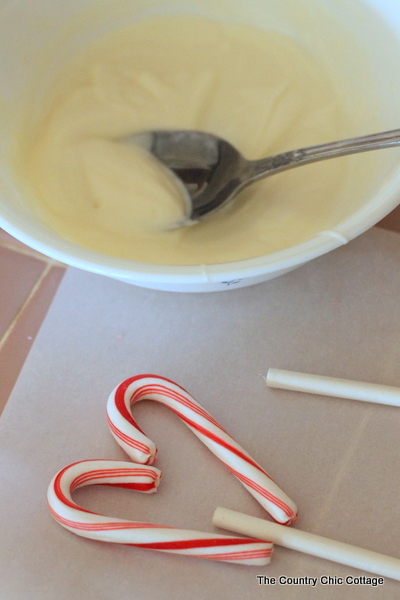 Use a spoon to pour the melted white coating into the candy canes. Smooth with your spoon before the product hardens. Add google eyes quickly and press into coating. 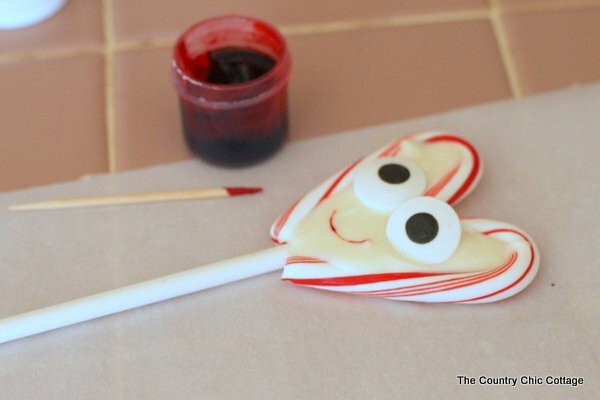 Dip a toothpick into red paste food coloring and draw on a mouth (again before product hardens). Allow pops to harden completely on wax or parchment paper. Lift from paper and your Valentine’s Day pops are ready to be served at the class party. 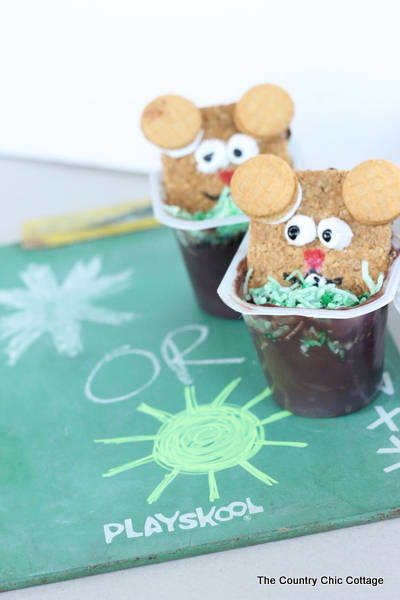 These cute guys will be smiling at a party or just for a fun afternoon treat. The kids will love the addition of the eyes. 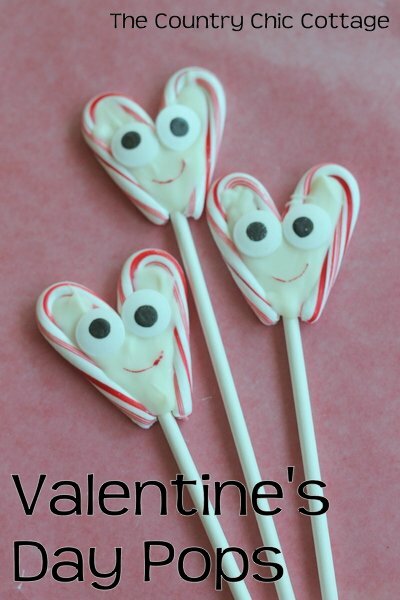 I hope you will make a quick and easy batch of my Valentine’s Day pops this year. 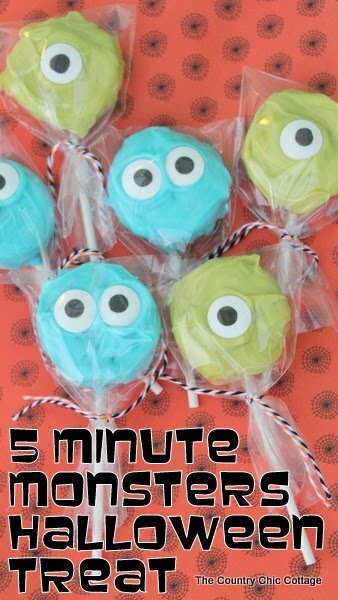 Halloween is approaching fast and when time is short you can make my 5 minute Monsters Halloween treats in a hurry. Today I am celebrating the release of the new Monsters University movie on Blu Ray combo pack October 29th. We are huge Monsters fans around here so I am thrilled to be able to bring you this post. 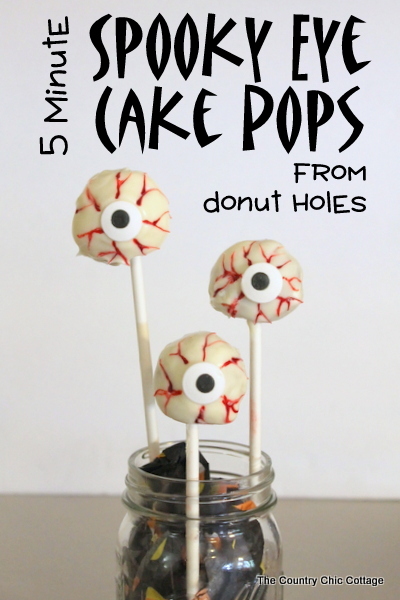 Plus quick Halloween treats are sort of my specialty. 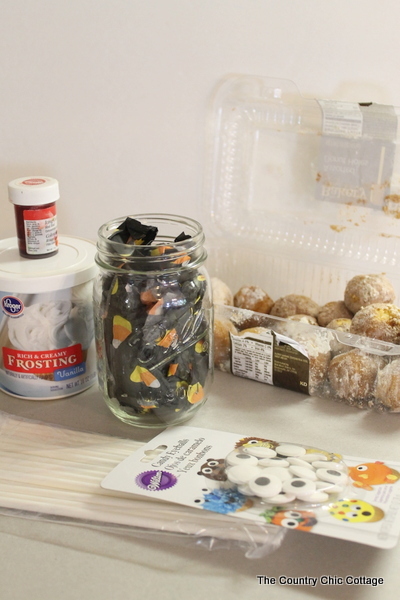 You can find over 20 no baking required Halloween treats on my blog. Lets get started on these little Monsters for now though. Melt the candy melts according to the package directions. 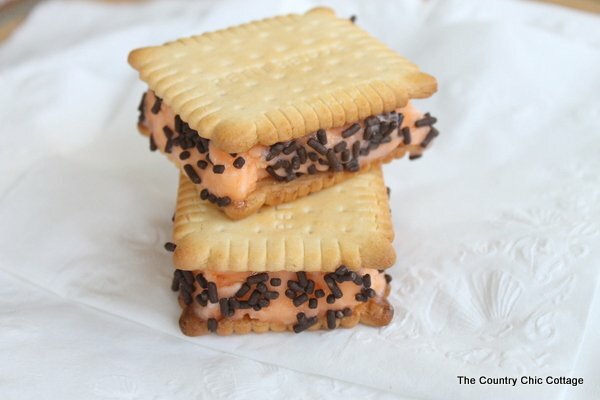 Cover the sandwich cookie on both sides. 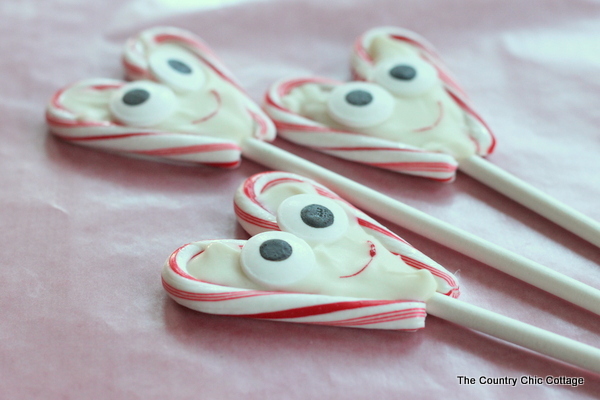 Dip lollipop stick into candy coating as well and lay cookie on top of stick. 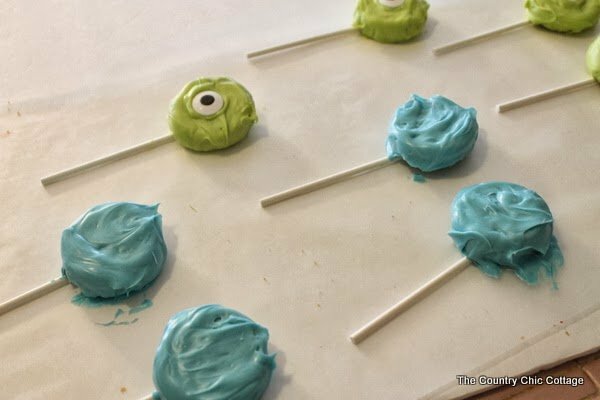 Place eyes on each monster while the candy coating is still wet. Repeat with additional colors and eyes as desired. I used one eye for the green and two eyes for the blue to mimic Mike and Sully. 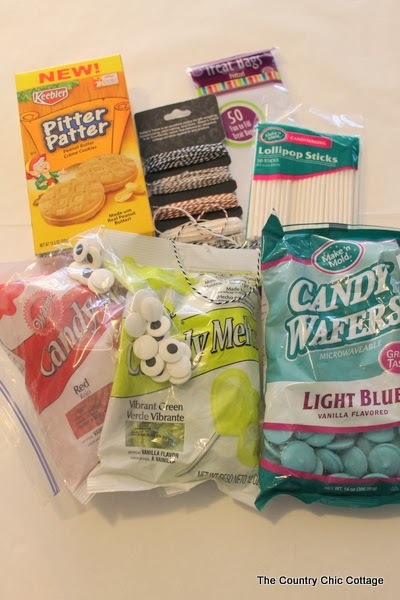 Place the treats into your plastic treat bags and use baker’s twine to secure. 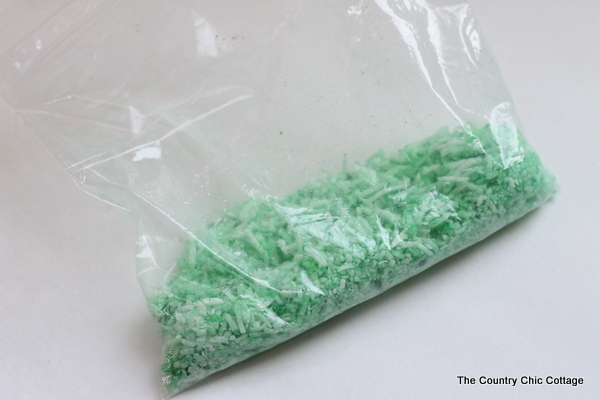 Fill a container with these for your child’s classroom this Halloween. 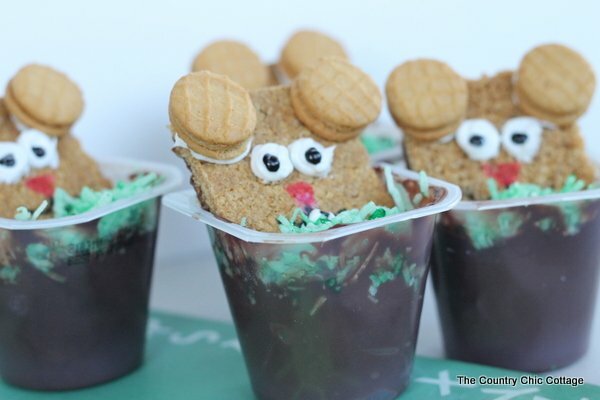 My 5 minute Monsters Halloween treat recipe is sure to be the hit of any Halloween party. Plus they will only take you minutes to make. That is a win win y’all. Be sure to pre-order the Monsters University Blu-ray combo pack so you get yours as soon as it is released on October 29th. You can also follow those crazy Monsters on Facebook, Twitter, and Pinterest for even more fun. 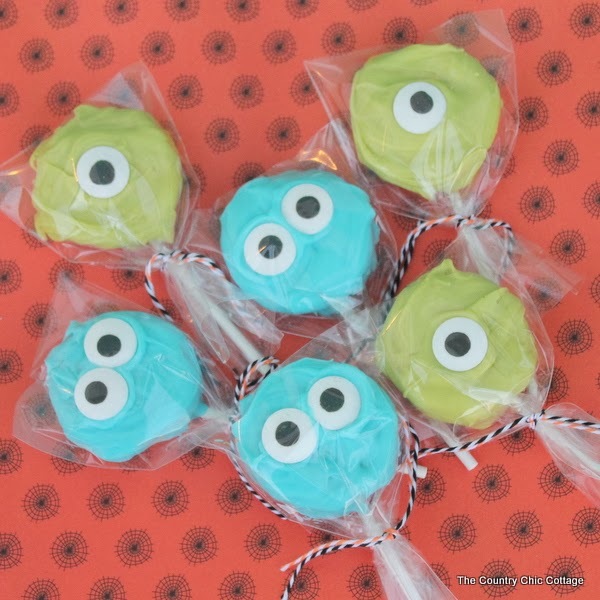 You can also check out other great Monsters University posts below. Have a monstrously good Halloween! 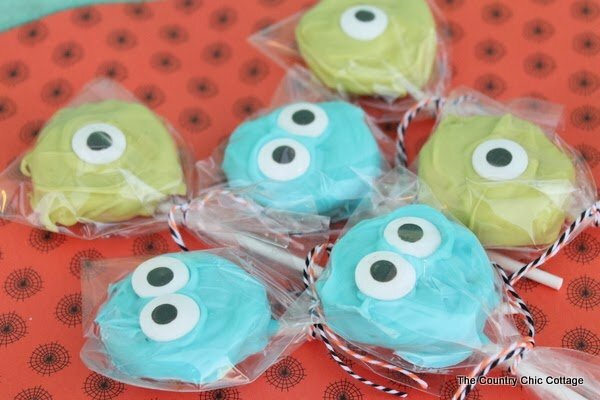 This post was sponsored by Disney Pixar and Monsters University. All opinions and projects are my own. 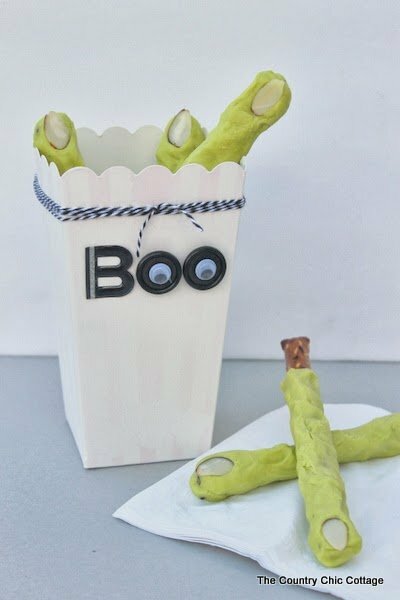 Today I am going to share a super spooky Halloween treat with my witch’s fingers Halloween recipe. 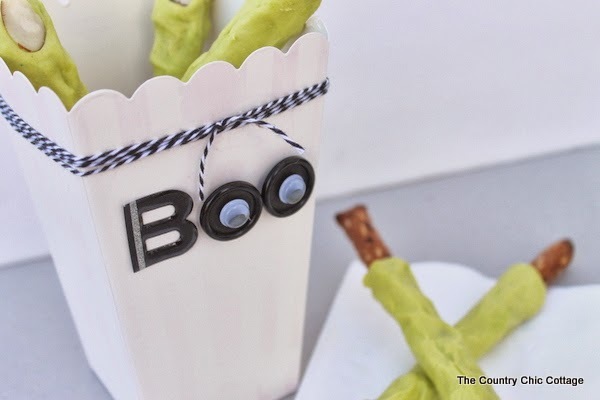 Plus I have a popcorn box blog hop for y’all to click around and see some other great Halloween ideas. A group of designers were all sent the same popcorn box and we were all encouraged to add our own spin to it. My idea is below then you can hop around at the bottom of this post to see even more creative Halloween ideas. Oh and a $100 gift card giveaway….don’t want y’all to miss that! I am going to start with how I decorated the box then we will get to the recipe in a second. 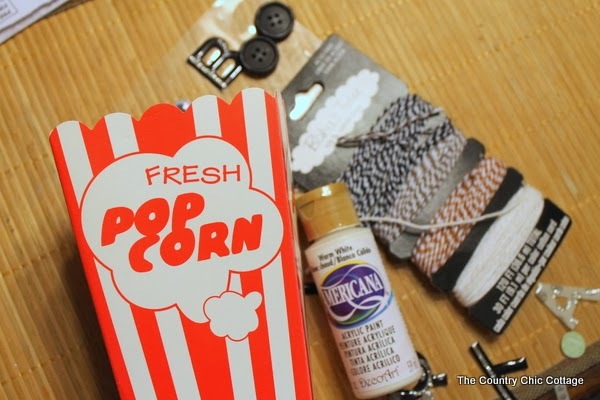 I started with my popcorn box, some Americana paint, black and white baker’s twine, buttons, google eyes, and a letter “B” sticker. I actually painted my box to get it white. I painted the outside only so food is still okay on the inside. I used about 4 light coats to get coverage. Then just stick on the “B” sticker, add on buttons and google eyes with hot glue, and tie on some fun baker’s twine. 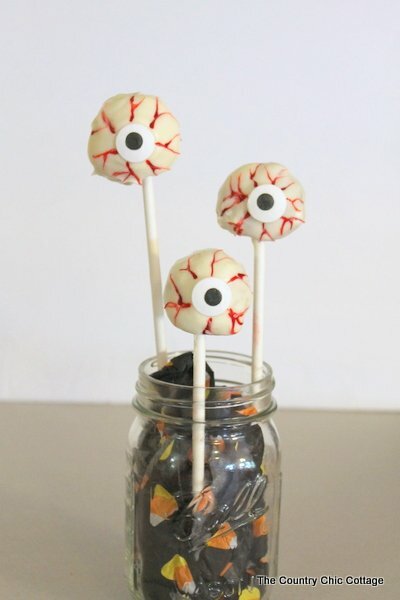 Super simple and a slightly elegant touch to your Halloween party. Now lets make those ugly witch’s fingers. 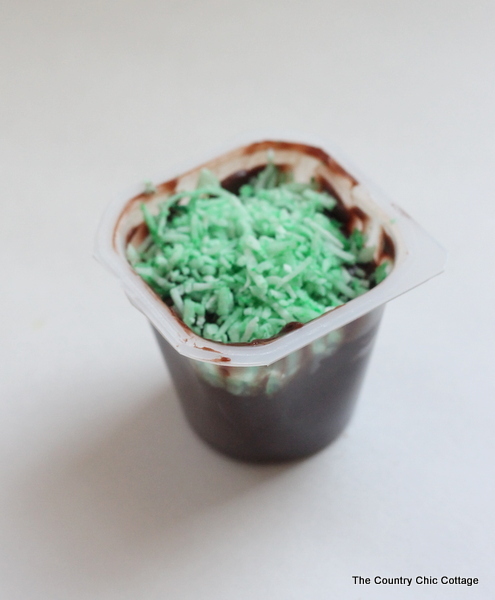 Just grab some green candy melts in the crafty food section of your store. Then coat your pretzel rods with the melted candy and add a sliced almond finger nail. 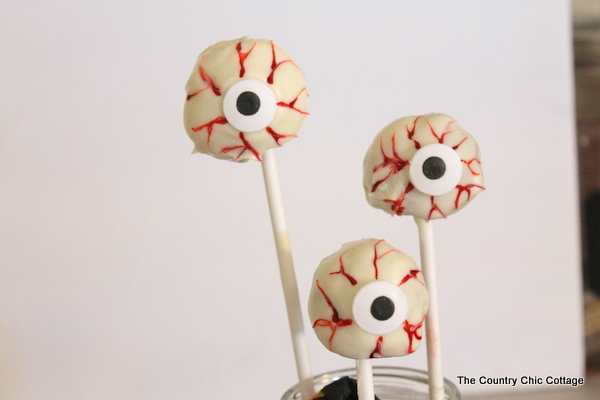 Perfectly easy, gross, and spooky…..that is the perfect Halloween treat! 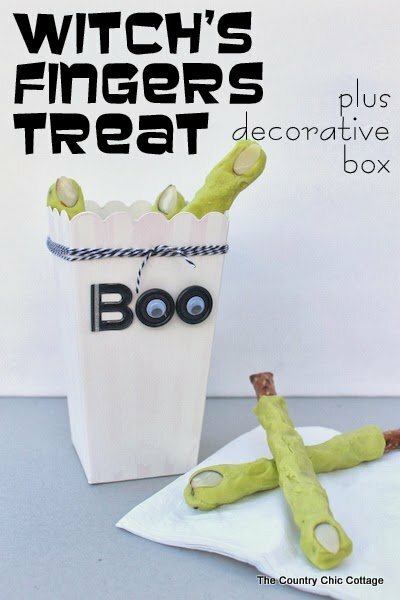 The witch’s fingers stand perfectly in the popcorn box for a freakishly fun display at your Halloween party. 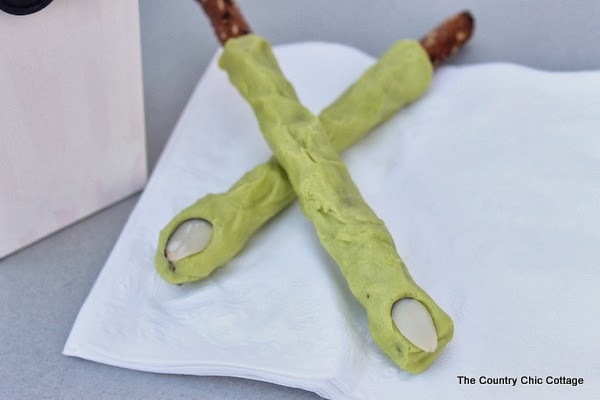 I hope you will try my witch’s fingers Halloween recipe for yourself. Now it is time for some Halloween hop fun. If you get lost along the hop, you can always head on over to Laura Kelly Designs for the main hop page. Now start visiting all of the great designers below and their fun popcorn box makeovers. I also promised y’all a giveaway. Enter below to win a $100 Disney gift card! See the widget below for all terms and conditions. Prize is being furnished and shipped by Laura Kelly Designs. Be sure to come back here to see the winner in the widget below once the contest ends. Good luck y’all! Laura Kelly Designs did provide me with materials for this blog hop but all opinions and projects are my own. I couldn’t leave an Easter dessert out of my quick crafts week. 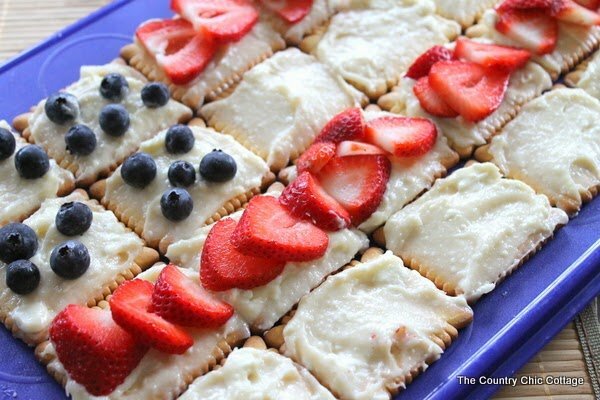 Can you get dessert done in 15 minutes or less and still have it be super cute? Yep! 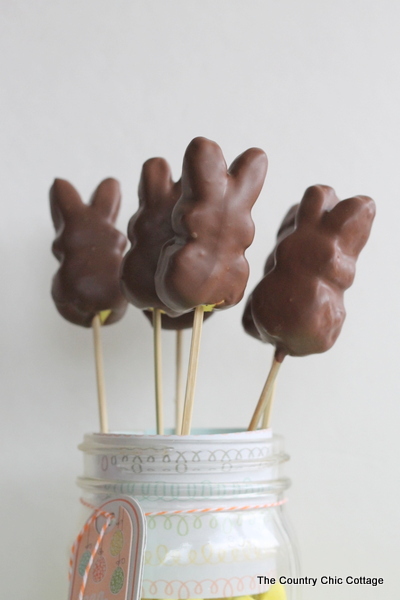 Especially when you chocolate cover some super cute Peeps marshmallows. All this week I am teaming up with Carolina from 30 Minute Crafts for some Craft Lightning. Craft Lightning is quick and easy crafts that can be completed in 15 minutes or less. You gotta love a quick craft right? 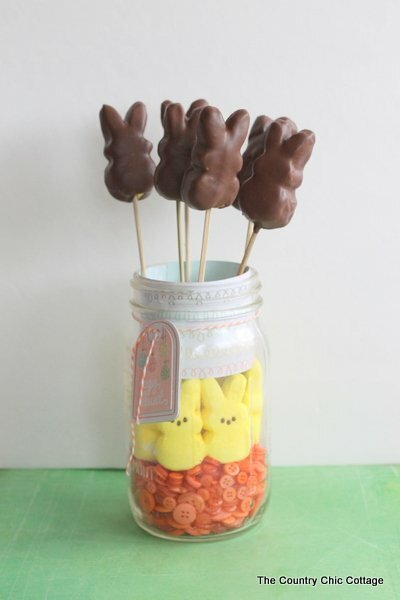 If you have missed any of the fun this week be sure to check out my favor bags, button carrot, Easter centerpiece, day 1, day 2, and day 3 features. Whew. That is a ton of fast crafting goodness. Want to see your craft in one of my featured posts? Be sure to link up to the Craft Lightning linky party today! 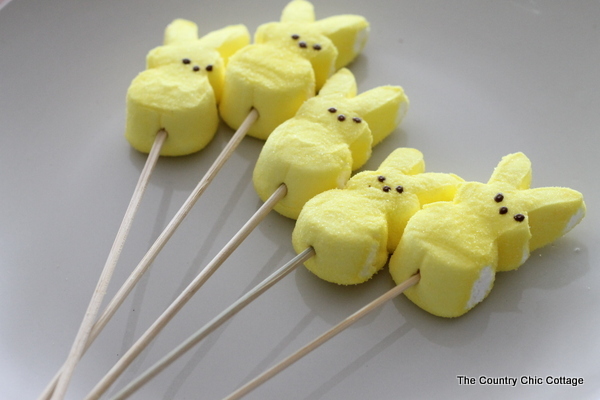 Today I am going to show you how to make a super simple Easter dessert of chocolate covered Peeps marshmallow pops. 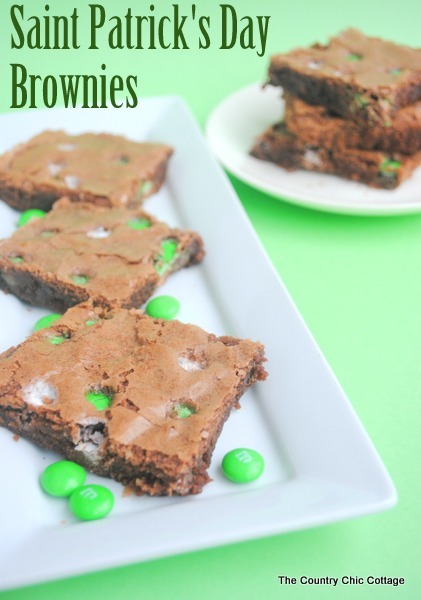 Your kids will love these and well trust me you will too. 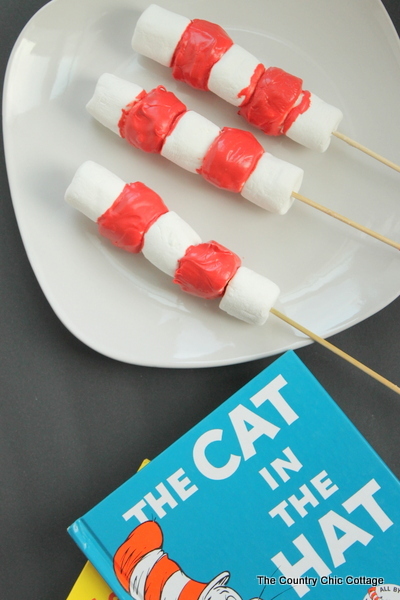 I used wooden skewers for my marshmallow pops. Just slide them into those cute Peeps bunnies. Now lets talk chocolate coating. I use chocolate almond bark or candy coating. You can find it in the baking aisle around the chocolate chips and baking chocolate. Why? It is easier to handle, hardens quickly, and I have never had a failure with it. 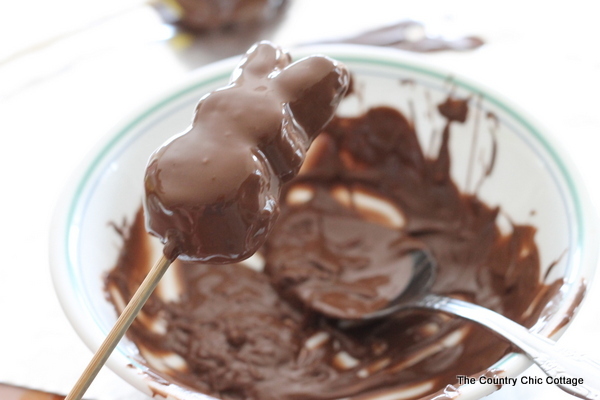 So melt your candy coating according to the package directions and dip in your bunnies coating them on all sides. Then just tap on the side of the bowl so that any excess comes back off. The other question you might have is why the Peeps bunnies and not the chicks. While the chicks are cute when not chocolate covered I personally do not like the look of the chocolate covered version. Below is a chick and bunny side by side. 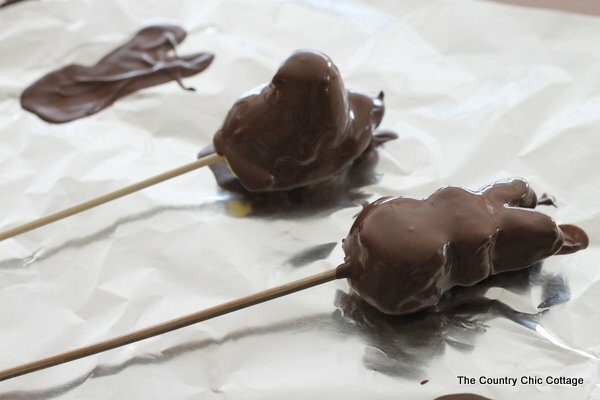 Allow your marshmallow pops to dry on aluminum foil or waxed paper for just a few minutes. 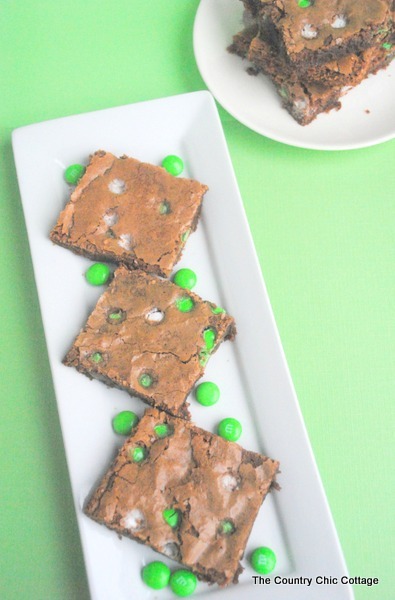 Seriously the candy coating makes this a great quick dessert and will harden lightning fast. 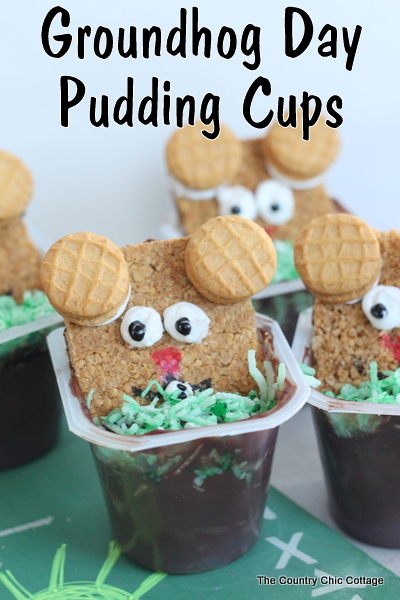 Then you are ready to display or serve your Easter dessert. 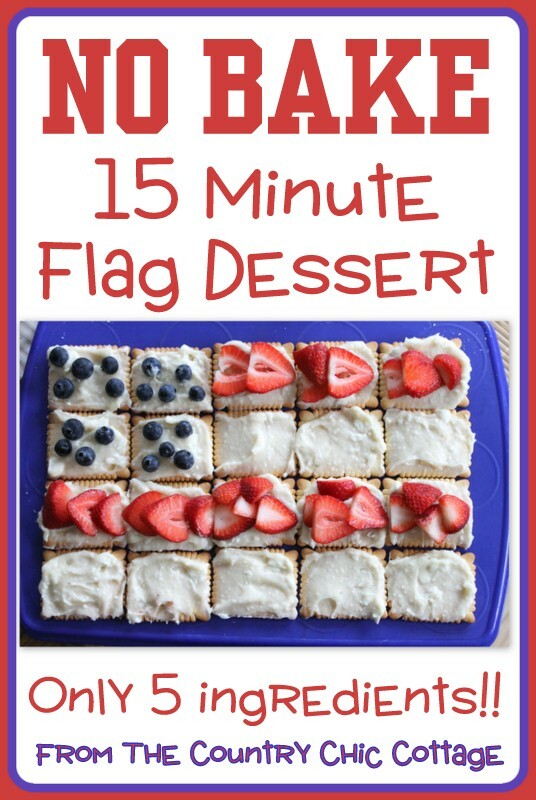 Any quick and easy dessert needs a quick and easy display. 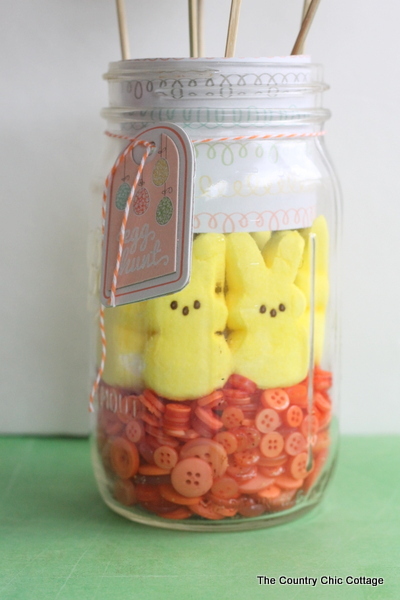 This is my Peeps mason jar centerpiece that I showed you last week. 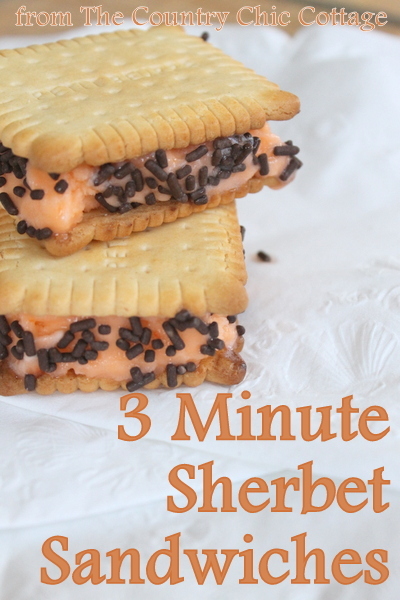 You can actually make this one in 10 minutes or less. During the video tutorial, I put a cup down inside my Peeps for flowers. 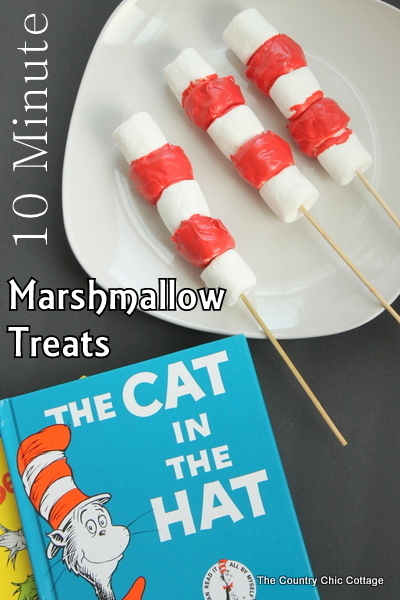 Just remove that cup to use the same idea for a marshmallow pop holder. Stick the skewers down into the buttons and they will be very stable. 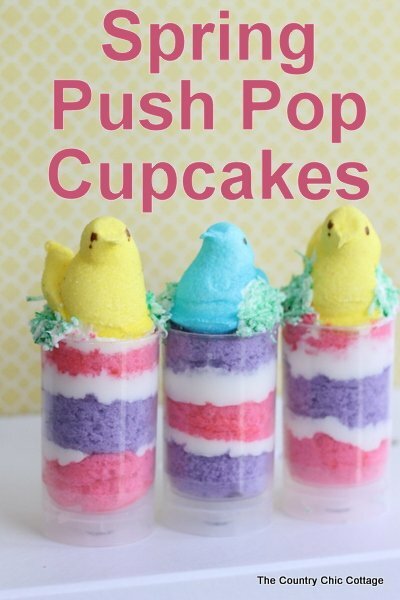 You have an Easter dessert that almost looks too good to eat…almost. 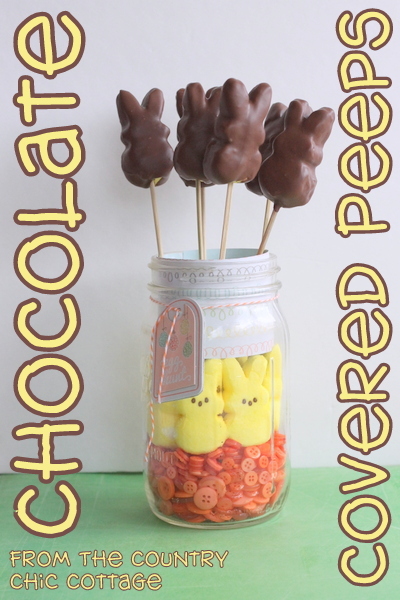 Your kids or guests (or you) will devour these chocolate covered Peeps marshmallow pops in no time. Y’all enjoy and stick around as we have more Craft Lightning to come.